What’s a walkthrough? A veteran home construction writer lays it all out for you. A walkthrough is meant to help you discuss any issues with your builder, so be sure to check the home thoroughly. New home walkthroughs can be stressful times for a new homebuyer. Regular communication between you and your builder throughout the building process can make these closing events much easier, faster and more comfortable. The secret to smooth walkthroughs, says Bob Sheely, construction manager for Drees Homes’ Dallas Region, is the relationship that’s been created between the builder and buyer over the four or five months of construction. Prior to the initial walkthrough, Drees first conducts an internal quality inspection. This inspection is done by a third party, who generates a list of items to be corrected before the homebuyer arrives. The pre-drywall walk with the buyer is then done by Drees’ own team, not by the third-party representative. The pre-closing walk is done in two parts, a home orientation that deals with the products in the home and then a walkthrough with the builder. The orientation is done by the Drees third-party representative who discusses how to use the home, reviews warranty information and discusses home troubleshooting and maintenance requirements. “The best thing the buyers can do at this time is to listen, take notes and hold their questions until the walkthrough with the builder,” suggests Sheely. Regular communication between you and your builder throughout the building process can make walkthroughs much easier, faster and more comfortable. This is the opportunity for buyers to learn how to operate appliances and equipment (such as the thermostat, furnace, fireplace, humidifier, air conditioner and hot water heater), pick up product instruction manuals and maintenance guides. Buyers can learn how to maintain countertops and flooring materials and can jot down suggested deadlines for periodic maintenance, such as sealing ceramic tile grout and changing filters and smoke detector batteries. In fact, the quality culture is now ingrained in the homebuilding industry and quality control, supplier and trade contractor partnerships and feedback are major initiatives. But builders realize that it’s vital to make sure you, the homebuyer, is involved and vested in the process of achieving the goal of providing a finished home that is as clean and close-to-perfect as possible. After all, the buyer’s continued satisfaction and, therefore, the builder’s reputation and future business is on the line. Most builders conduct several home walkthroughs and follow-ups with their homebuyers to fully involve them in this process. The system typically involves a pre-drywall inspection a few weeks before closing and a second walkthrough a day or so prior to closing to determine items that need fixing. The second walk generally includes a home orientation and maintenance discussion. Finally, there will be a home “presentation” walk at closing where you can make sure that the initial repair items were addressed and where you get the keys to your new home. The pre-drywall walkthrough or inspection is where you walk the unfinished house with the builder’s customer service or quality control representative. The builder will showcase the “bones” of the home, i.e., the framing, plumbing runs and mechanical ductwork. He’ll also point out electrical outlets and cable jacks, as well as the optional items you selected, such as additional can lights or computer ports. The pre-drywall walk is where you get out your measuring tape and level. Check to see if the dimensions of each room match the plans. Are the floors level? Does the insulation fill all the gaps between the studs? Are the HVAC ducts taped? Using your copy of the home plan and a list of your selections and option choices, confirm that all upgrades have been installed. Now, take out your camera or video recorder and snap a picture or video clip of each wall in each room. This will allow you to easily trace electrical, plumbing and exhaust vent lines if necessary in the future. The pre-closing walkthrough offers you two major opportunities. First, it allows you the chance to carefully inspect every detail of the new home, make sure everything works and create a written “punch list” of items you want corrected. Secondly, the orientation portion of this walk is an educational opportunity that allows you to learn all about your new home, its operation and care. The walkthrough is basically a way for the builder to explain the features and mechanicals of the home to the buyer and to discuss the home’s maintenance requirements, various builder and product warranties and customer service and follow-up policies of the builder. After the meeting, be sure to fill out and mail any product warranty forms. The third new home walkthrough is designed to accomplish several things. It allows the buyer to check (and sign off) that all “punch list” items from the pre-closing walk have been corrected. Be sure to bring your list and check it off. It allows the builder to explain the firm’s follow-up and warranty service policies. Commonly, this will include a re-check for possible needed repairs 30 days after move-in that is designed to account for items such as drywall nail pops and tile cracks caused by drying and settlement of the house. 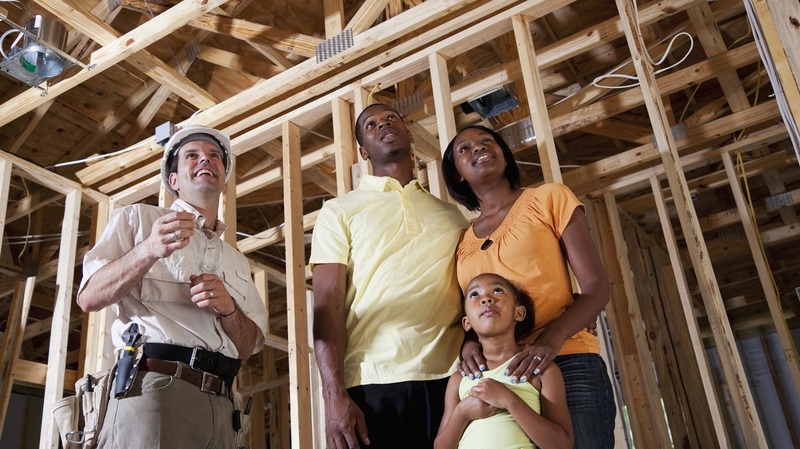 New homes also have a general one-year warranty, as well as extended structural warranties. Make sure you understand these. Finally, the last walkthrough is, indeed, a presentation. This is when you get your house keys, garage door openers and, most likely, a nice gift basket to welcome you to your brand new home. Roy Diez is a freelance writer and marketing professional specializing in the architectural, building and construction industry. He is a former editor-in-chief of Professional Builder magazine.